A workshop focusing on Black history in Canada was led by best friend activist duo Cicely Blain and Ivan Leonce on March 28. 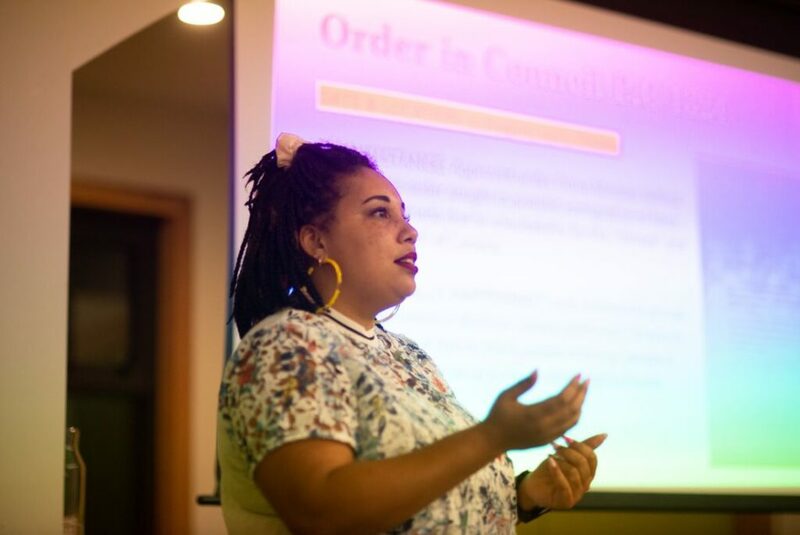 Blain, founder of Black Lives Matter Vancouver, worked with Leonce to create a space conducive to honest conversation about the Black experience in both past and present-day Canada. The workshop, which took place at Creative Coworkers in Vancouver, was designed for non-Black people to acknowledge the privilege that they are born with by learning about what Black people face in Canada every day. “Even those of us who are open minded and excited to do this work are still bound to the bigger ideologies, that same mentality that we might not want to admit,” said Blain, about the unknowing prejudices that make their way into society. The evening started off with an activity that required attendees to sort monumental events in Black history and place them on a timeline. “My goal was for people to learn at least one thing… and to make that connection between history and the present,” said Blain. The historical events discussed ranged from the Berlin Conference—also known as “The Scramble for Africa” in 1884, when European Nations gathered to decide how to divide the independent continent of Africa amongst themselves with the goal of extracting people as slaves and Africa’s rich resources—to more recent events such as the murder of Andrew Loku in 2015 by a Toronto police officer in the stairwell of his own apartment building. Loku had been walking with a hammer before he was killed. After the event, Leonce expressed his joy for the outcome of the workshop. Attendee Addie Veniot, who is of Scottish descent, came to the workshop after attending other events held by Blain. “It’s the foundation of our society, and we need to reckon with that,” she adds. Blain and Leonce hope that, through the workshop, they could show that from vulnerable conversation comes a greater understanding of toxic ideologies that non-Black people may hold, as well as how they can open their hearts and start listening.